The Collection extension allows you to organize personal selections of pages in a collection. To do it, the extension uses a public render server where the jobs are sent and processed. Please keep in mind that if your Mediawiki installation is not public (it is a local installation or it can’t be accessed from the Internet), you will need to install your own Render Server. The Collection developers have some suggestions about it here. 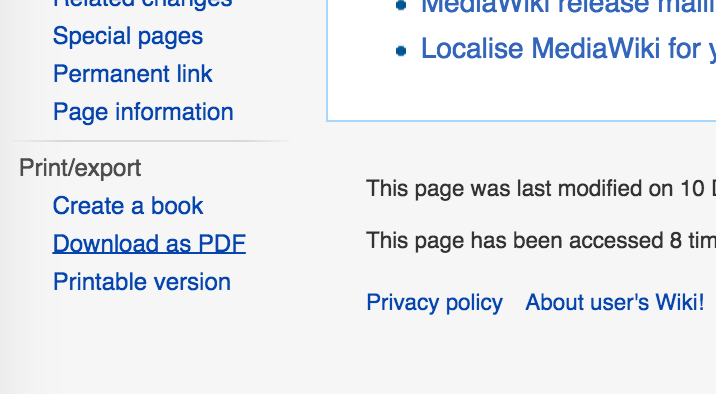 Download the latest Collection version from the official Mediawiki extension page.